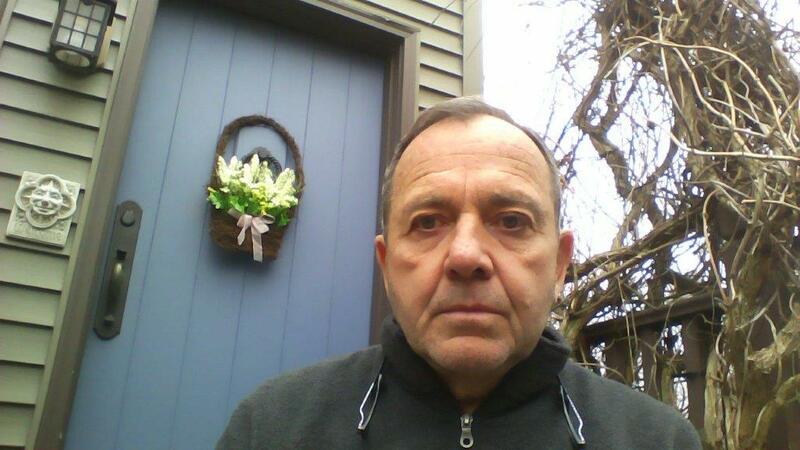 “A 63-year-old Youngstown man alleges he was sexually abused 50 years ago by a Niagara Falls priest who received many awards and honors for his work with poor people, the homeless and disadvantaged teenagers. Niagara County resident Mark V. Lynch said he was 13 years old when he was molested in 1968 by the late Rev. Joseph A. Schuster in a Niagara Falls rectory. He said he reported the incident March 12 to the Catholic Diocese of Buffalo and was told Tuesday the complaint had been received and would be given to Bishop Richard J. Malone and attorneys for the diocese. The diocese did not include Schuster on its March 20 list of 42 priests who have had credible allegations lodged against them of sexual abuse involving minors. Lynch’s allegations come during a resurgence in complaints accusing Buffalo Diocese priests of molesting children, and his case underscores the challenges that sometimes decades-old allegations can present for the victims, diocese officials and even relatives of accused priests who have died. Two dozen of the 42 priests identified by the Catholic Diocese last month as having had allegations against them are dead. In some cases, neither the families of those who said they were abused by priests nor the families of the accused priests knew of the allegations. The Buffalo News found no record of anyone publicly accusing Schuster of abusing a minor before. George Richert, a spokesman for the diocese, declined to confirm or deny any information about Lynch’s complaint or about Schuster, who retired from the priesthood in the early 1990s. Mark Lynch of Youngstown publicly accused the Rev. Joseph Schuster of sexually abusing him when he was 13 in 1968. Lynch make his accusation during a news conference March 30, 2018 in Buffalo. According to Lynch, Schuster molested him after inviting him to spend a night with him at the rectory of Our Lady of Mount Carmel Church in Niagara Falls, where Schuster was staying. Lynch, who grew up with six brothers and sisters, said his mother trusted and admired priests and allowed Lynch to stay at the rectory with Schuster. He said the priest molested him after insisting that he sleep with him in the priest’s bed. A reporter from The News spoke to one of Schuster’s adopted sons and a retired Methodist minister who knew Schuster for at least 35 years. 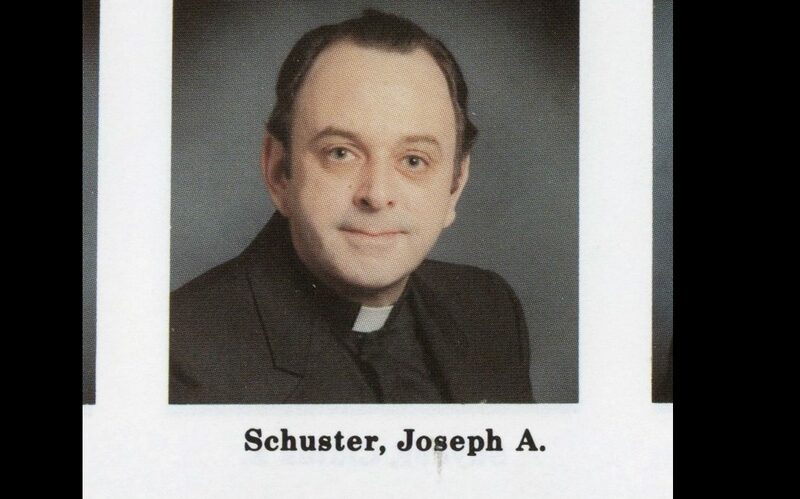 Both men defended Schuster, saying they never heard any allegations of sexual misconduct against the former priest. Both also said they had no way of knowing with any certainty whether Lynch’s allegations were true or untrue. Niagara Falls Police Lt. Jon Paul Schuster, who said the priest adopted him when he was 15, told The News that he never before has heard any allegations that his adopted father molested anyone. He described Schuster as a “great guy” who devoted his life to helping the poor. “Obviously, I can’t say what happened 50 years ago. I wasn’t there,” Lt. Schuster said. The clergy abuse issue came to the forefront again in Buffalo on Feb. 27 after a man accused the Rev. Norbert Orsolits of molesting him, and Orsolits admitted to The News that he had sexually abused “probably dozens” of teenage boys. Since then, The News has reported the diocese quietly paid $1.5 million in 2016 to settle a Texas man’s lawsuit accusing the Rev. James A. Spielman of molesting him. And the diocese announced it was creating a special fund to offer compensation to victims of clergy abuse who filed complaints in the past. Schuster was ordained in 1966 and served in several parishes, including St. Isadore’s in East Otto, Holy Name of Jesus, Buffalo, and Our Lady of Mount Carmel, Niagara Falls. During most of his career, he was assigned to the Catholic Worker House in Niagara Falls. Schuster, who married a Niagara Falls man and adopted two other teenage boys after telling friends he had retired from the priesthood, died in 2007. Schuster was respected in Niagara Falls and Buffalo for his efforts to help the poor and homeless, youths from disadvantaged homes and individuals suffering with AIDS. He was also an outspoken opponent of America’s involvement in the Vietnam War, and an activist for equal rights for the lesbian, bisexual, gay and transgender community. According to a 1970 report in the Lockport Union-Sun Journal, Schuster created some controversy when he withheld part of his payment of income taxes because he did not want the money used to wage war. In 1990, The Buffalo News named Schuster as one of the region’s outstanding citizens, applauding his work with the poor. A year after that, Schuster announced publicly that he was taking a leave of absence from the priesthood. The News reported in February 1991 that Schuster had sent a letter to supporters, announcing that he had taken a leave of absence from the priesthood and resigned as executive director of the Catholic Worker Center, a charity he established in 1972 to help the poor and homeless of Niagara Falls. After that, the retired minister Babcock said, Schuster told him he had “retired” from the priesthood. He said Schuster took some outspoken political positions and supported causes that upset some Catholics. Babcock said he also believes that Schuster wanted to live freely and openly as a gay man, something that Catholic leaders would not permit a priest to do. Schuster eventually married a man, Babcock said. According to information given to The News by Schuster’s loved ones after he died at age 68 in July 2007, Schuster was survived by a husband, identified as Brian Bussard-Schuster. Bussard-Schuster did not respond to several messages left on his cell phone by a News reporter. Lynch said he waited 50 years to make public his accusation against Schuster because he was extremely embarrassed by the incident and didn’t tell anyone about it until about six years ago, when he told his brother, Brian Donohue-Lynch, and several other close friends and family members. Lynch said he also was reluctant to tarnish Schuster’s name because he admired the priest for his work on difficult causes. Brian Donohue-Lynch told The News he knew Schuster and admired him for all the unselfish work he did for the poor and homeless in Niagara Falls. At 3 p.m. on Good Friday – the most solemn day of the year for Catholics – Lynch held a news conference to discuss his allegations on the doorstep of St. Joseph’s Cathedral in downtown Buffalo. He said he wanted to speak publicly about the situation on a holy day to emphasize how important it is that Catholic Church leaders do more to help victims of clergy abuse. Lynch said Jacqueline Joy, victim assistance coordinator for the diocese, called him on Tuesday to confirm she had received his complaint. Lynch said Joy told him she is passing the information on to Bishop Richard J. Malone and attorneys for the diocese.